We are enthusiastic about the results of the BAN2401 phase 2 clinical trial for dementia. The study assessed changes from baseline to 18 months in biomarkers measuring the underlying disease pathophysiology, including changes in amyloid accumulated in the brain as measured by amyloid PET (positron emission tomography). The clinical endpoints of Alzheimer’s Disease Composite Score (ADCOMS), Alzheimer’s Disease Assessment Scale-cognitive subscale (ADAS-Cog) and Clinical Dementia Rating Sum of Boxes (CDR-SB) were also assessed from baseline to 18 months of treatment. BAN2401 demonstrated a dose-dependent reduction in amyloid plaques as measured by amyloid PET, and this reduction was statistically significant at all doses. At the highest dose of BAN2401 (10 mg/kg biweekly), an analysis of amyloid accumulated in the brain using standardized PET as measured on the Centiloid scale showed an observed mean at baseline of 74.5 and at 18 months of 5.5. Using a Mixed-effects Model with Repeated Measures (MMRM), the mean reduction in amyloid load was 70 units, which was statistically significant (p<0.0001). In amyloid PET image visual read, BAN2401 demonstrated a dose-dependent conversion from amyloid positive to negative, and at the highest dose, 81% of patients converted from amyloid positive to negative at 18 months (p<0.0001). BAN2401 is a humanized monoclonal antibody for Alzheimer’s disease that targets the protofibrils of beta-amyloid before they aggregate into amyloid plaques. 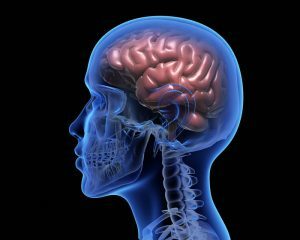 This study allows patients ages 50-90, including mild cognitive impairment and early dementia (MMSE 22-30), and is designed to have an open-label extension for 2 years or until the drug is available on the market. BAN2401 selectively binds to neutralize and eliminate soluble, toxic Aβ aggregates that are thought to contribute to the neurodegenerative process in Alzheimer’s disease. As such, BAN2401 may have the potential to have an effect on disease pathology and to slow down the progression of the disease. Eisai and Biogen are offering patients to participate in the phase 3 study starting in April 2019. Patients must be able to have an MRI and have an available study partner. Patients get a free amyloid PET CT during screening for this study. 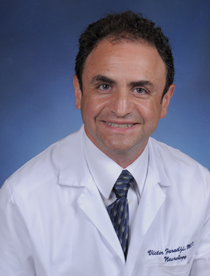 Victor Faradji, MD is Board Certified by the American Board of Psychiatry and Neurology. He practices general adult and adolescent neurology with special interest in electromyography (EMG), neuromuscular and spinal disorders, migraine, vertigo, and Dementia. He is proficient with Botox injections and the Epley repositioning maneuver for benign paroxysmal positional vertigo (BPPV). Dr. Faradji is a former Assistant Professor of Neurology at the University of Miami School of Medicine. He was also an examiner for the American Board of Psychiatry and Neurology. He is a certified member of the American Society of Neurorehabilitation and is an active member of the American Academy of Neurology. Dr. Faradji has participated in many scientific research studies including diabetic neuropathy and the IDEAS study for Alzheimer’s disease.